Students develop comfort with underwater exploration and learn to safely exit in the event of falling into a body of water. This stage lays the foundation that allows for a student’s future progress in swimming. Stage 1 is offered to children aged 3-5 years, 5-8 years and 8-12 years. 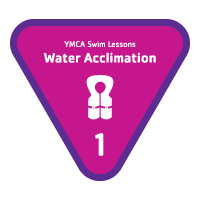 In stage 2, students focus on body position and control, directional change, and forward movement in the water, while also continuing to practice how to safely exit in the event of falling into a body of water. Stage 2 is offered to children aged 3-5 years, 5-8 years and 8-12 years. 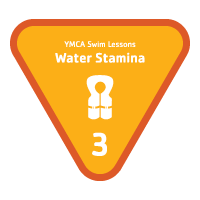 In stage 3, students learn how to swim to safety from a longer distance than in previous stages in the event of falling into a body of water. This stage also introduces rhythmic breathing and integrated arm and leg action. Stage 3 is offered to children aged 3-5 years, 5-8 years and 8-12 years.